We seem to have been talking about the replacement for the Nikon D700 for ever, but the update, widely anticipated to be called the Nikon D800, has still be announced. Although there have been suggestions of an imminent D800 release date, the recent flooding Thailand is rumoured to have put back the announcement. With Nikon now recovering its production capabilities, perhaps we could see a replacement for the Nikon D700 in the very near future. Rumours about the likely specification of the D800 have been circulating for months, but what do we actually want from this camera? We've given it some thought and come up with what we think its spec sheet should feature. The Nikon D700 has a full-frame 12 million pixel sensor and there are rumours that its replacement will have three times as many pixels. Although a 36 million pixel sensor may seem like a huge leap, it may not be too far from reality. After all, Sony is widely known to make Nikon's SLR sensors and it has already produced cameras with 24 million pixel APS-C sized sensors. Nikon uses a 24Mp sensor in its flagship SLR, the full-frame D3X. For many, us included, 24 million pixels would be enough, especially given the advances that have been made in noise control in the months since the D3X was introduced. However, a part of us would love Nikon to introduce a 36 million pixel SLR to push the boundaries and reinvigorate its rivalry with Canon and Sony. 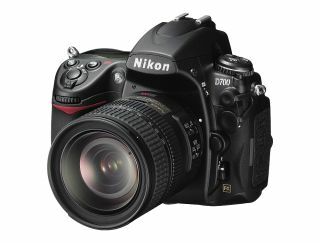 When Nikon introduced the D700 it couldn't shoehorn in a 100% viewfinder AND a sensor cleaning system. However, it found a way in time for the D3S and it's time we saw this combination further down the company's full-frame DSLR line - fingers crossed for the D800. Some may consider the next item on our wishlist rather superfluous, but we think it promotes creativity and those who use SLRs to shoot video will love it - an articularted screen. Canon brought this to the main arena with the EOS 60D, followed a little later by Nikon with its D5100. Live view really comes to the fore when shooting still life or macro scenes because it allows much more precise control over manual focusing. Even with the average table-stop still life, an articulated screen makes life much more comfortable and it makes shooting from awkward angles much easier. As the D800 will be aimed at serious enthusiast, semi-professional and professional photographers it needs to be built to withstand heavy use and the articulating joint on the screen would have to be built to a high standard. Nikon introduced a hybrid AF system for its Nikon 1 cameras. This combines the speed of a phase detection system with the accuracy of a contrast detection unit. It would be great if Nikon could do the same thing for the D800. This would enable full-time AF in live view and video mode, and it should give better performance than the contrast detection only full-time AF systems in cameras such as the D7000 amd D5100. The 51-point phase detection AF system in Nikon's D3S is widely beleived to be second to none, but we'll be looking for some enhancements for the D800. We'd like the AF points to extend further towards the edges of the image frame for instance, which would mean more points. We'd also like Nikon to take a leaf out of Canon's recipebook for the EOS-1DX and make the AF system menu options clearer, so users are able to get the best from their camera. While the D3S maybe the choice professional sports photographers, the D700 is often used as a back-up model, it's also used by serious enthusiasts and semi-pros who need a camera that can shoot in a wide range of situations. This means that speed is still important for the D800 and we would like a maximum continuous shooting rate of at least 8fps - without a battery-grip. Low light performance has been a strength of Nikon's recent DSLRs and we expect the sensitivity range of the D800 to be expandable to ISO 102,400. In order to acheive high continuous shooting rates and sensitvity levels the D800 will need to high-speed processor. This is likely to be the EXPEED 3 engine that we saw for the first time in the Nikon 1 series. We have complaints about the D700's metering system, but Nikon has subsequently produced a more sophistacated system that uses a dedicated 2,016 pixel sensor so we'd like this to appear in the D800. It would be nice if the metering system could be customised to respond to suit the photographer's preferences. Those wanting to work on images post-capture may prefer midtones to be underexposed so that the highlights are preserved, while photographers who need print-ready images straight from the camera may be happier to sacrifice the highlights for a better exposure over all. As the D700 has a built-in flash, we expect the D800 to have one, but rather than using it to control external flashguns wirelessly, it would be great if it used radio waves. Radio waves are better than infra red because they don't rely on line of sight and are better outdoors. Naturally we expect the D800 to be capable of shooting Full HD video, but keen moviemakers would like to be able to choose from a selection of frame rates including high-speed options for slow-motion playback. In-camera video editing would also be a nice touch, perhaps allowing users to select start and stop points and join snipets together to form a longer, more polished movie. Keep following for more on the Nikon D800 release date when it occurs.